Above is a quick photo I took of the HD Theater. 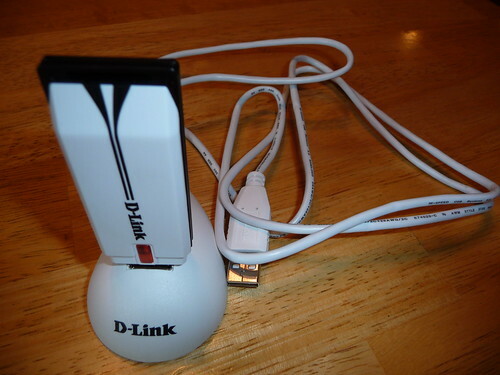 You’ll note that I have the WiFi adapter plugged into the front USB port – I did this only for easy switching since I was testing both adapters. 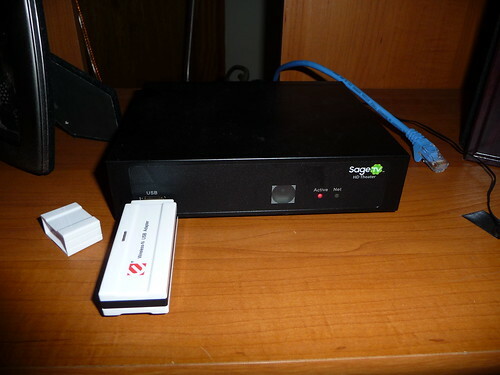 It looks much nicer to use the USB port on the back of the SageTV HD Theater – of course… I also left the Ethernet cable unplugged and on top of the HD Theater to show that it was connected only wirelessly. 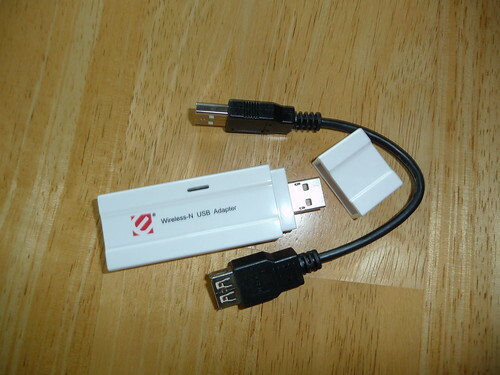 There may be other wireless adapters that work, but these are the two confirmed to be working. I have both and both worked well. If you’re concerned about 2.4Ghz interference you may want to go with the more expensive DWA-160 since it is in the 5Ghz range. 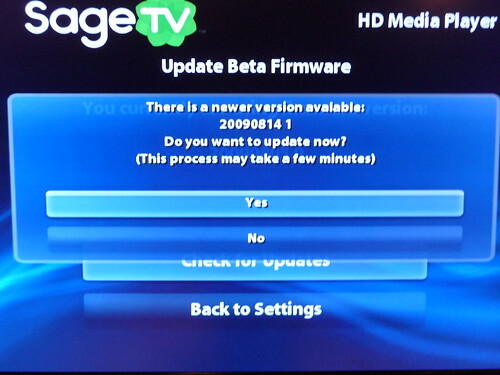 Once you have the latest beta firmware installed, start up your HD Theater in Media-Player-Mode (Standalone mode) and go into settings. Next go to Network Configuration. Select Wireless instead of wired for your network connection. 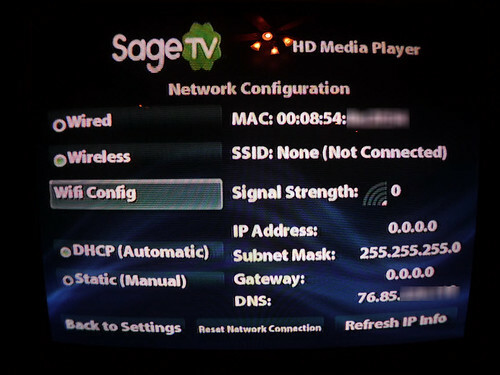 It will attempt to automatically configure the wireless network at this point. If you have any security on your wireless network (which you should of course) this auto-config won’t work – continue on to the next step. 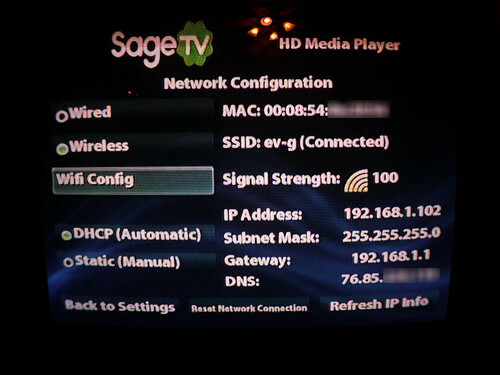 Now select Wifi Config on the menu. You should now see a list of broadcast SSID’s. The signal strength icon didn’t seem to really register the signal at this point so don’t panic. 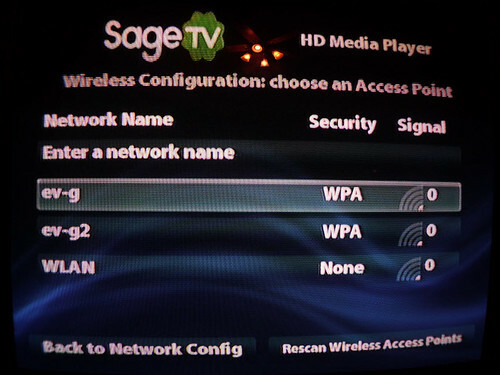 Also, if your SSID isn’t broadcast you can select “Enter a network name” to enter the SSID manually. Now either select the SSID or enter it here. 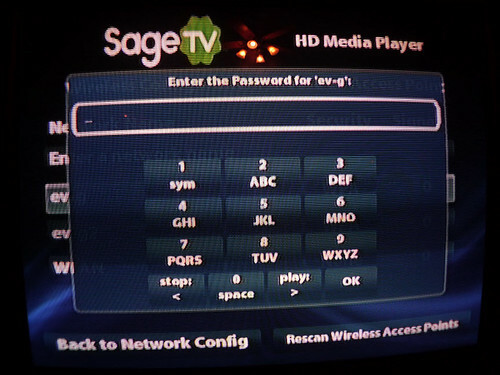 It should now ask you to enter the password for your wireless security. Mine was set with WPA2 PSK and worked fine although I’m not all that handy with the T-9 entry method like my daughter is. 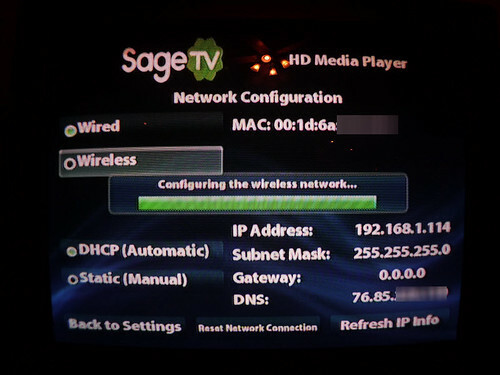 Here’s hoping they get USB keyboard support for the SageTV HD Theater in Media Player (Standalone) Mode since thats where you do the Wireless Network setup ;) I’m sure it’s coming soon since they just added USB Keyboard support to the extender mode of the HD Theater. Once it’s configured and working it should look like the screen-shot below. Signal strength should be greater than 75%. The IP address and other network information should be populated now. 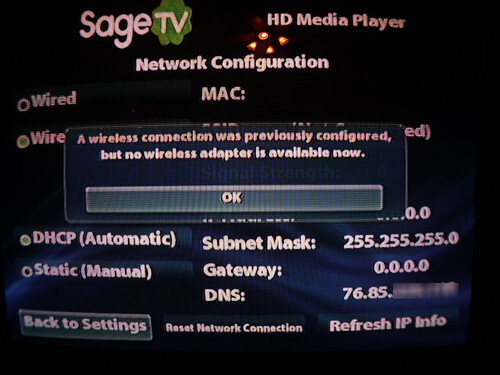 If you happen to unplug the wireless adapter after setting it up on the HD200 you’ll see this message in Network Configuration. Thats it! Your HD Theater is now wireless (or wired if you want). 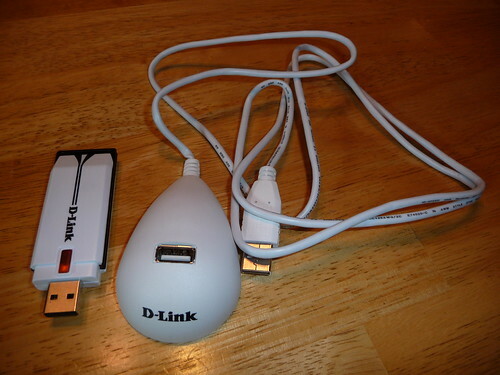 This works in both Extender mode as well as Media Player (standalone) mode. I’ve been using 2 of my HD Theaters wirelessly and had zero problems with playback. Of course I always recommend the wired option if you can, but there are sometimes you just can’t wire a room with ethernet so it’s nice to know you have options. Note that my HD Theater was two floors up and across the house through many walls when I got 100%! 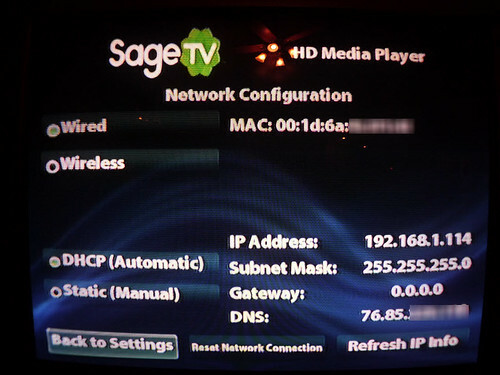 And I tested this for 4 nights of video and TV playback all in HD with not a single issue.